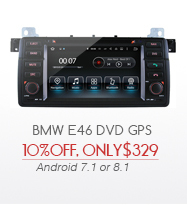 As we all know, being always on the road without entertainment could be boring and tedious, the DVD navigation system can solve this problem. 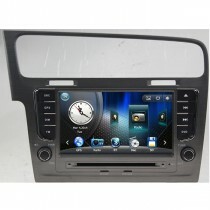 It's available in various models for different VW vehicles, and our volkswagen dvd navigation is available for Volkswagen Golf 5, Golf6, VW Jetta, Tiguan, Passat, VW Polo, Touran, Magotan, Volkswagen Bora and so on. 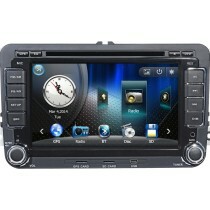 The reason why there are so many VW vehicle owners love the VW GPS DVD is because of its great features. 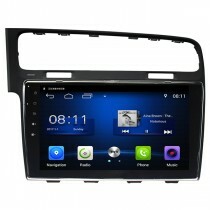 The VW navigation dvd has many attractive features, built-in GPS navigation system, Bluetooth handsfree phone function, USB port, SD card slots, high sensitive FM/AM radio, rear view video input, support steering wheel controls with can-bus decoder, most of them are not included in the factory car audio and video head unit, that's why so many preferred our Volkswagen DVD/GPS to be set up in their vehicles.